I’m notorious among, well almost everyone I know, for having itchy feet. I’m forever craving to see more, do more, experience more. That desire often leads to some impulsive decisions on my part - some good, some bad, but my latest one was definitely a good’un. Myself and Zoe (@zoegriffinphoto) made the spontaneous decision to book a very last minute, day trip to Amsterdam. However, day trip is a little generous, we in fact only had approx. 6 hours on the ground. If you’ve read any of my other travel instalments, you’ll know that although I adore London in my respects, it’s very much a love-hate relationship when it comes to creating content. I feel my most inspired and most creative when I’m somewhere new and so I try and book regular trips to stimulate my creativity - and that in turn helps make this blog, as well as my Instagram much more diverse. Amsterdam has been high on my list for a long time because of the muted, tonal colours it boasts and the overall impressive architecture - I found myself gawping at many of the narrow townhouses that lined the canals. Although we weren’t there for long, I definitely wanted to put together even just a little guide to the city, to urge some of you to visit because it truly is a very unique place. 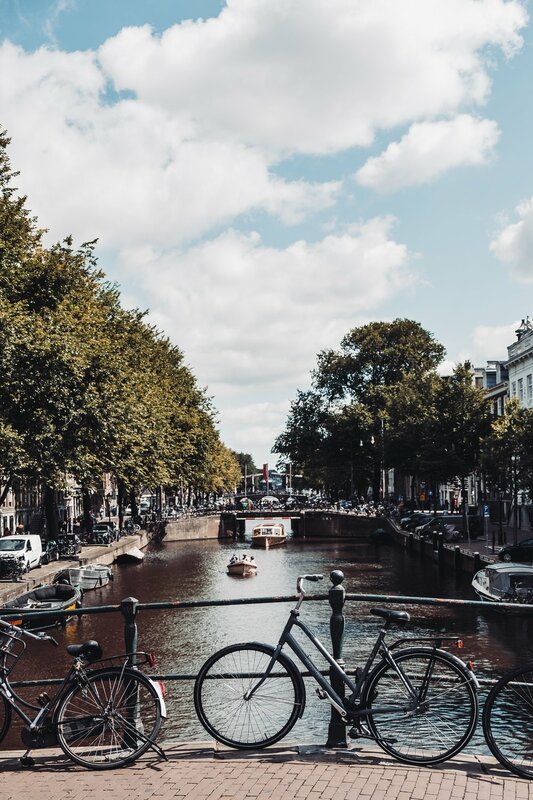 With its canals lined with red brick mansions and stately museums filled with masterpieces by Rembrandt and Vermeer, you might think the capital of the Netherlands is all about history. But there’s a modern streak, too: an creative food scene, an open-minded attitude, and an innovative culture of design. The best part? You can experience every facet of this easily walkable city in one visit. Or even in the span of a few hours - just like we did. Amsterdam's canal-woven core is laced by atmospheric narrow lanes. What I love most is that you never know what you'll find: a tiny hidden garden; a boutique selling witty, stylised Dutch-designed homeware and fashion; a jewel-box-like jenever (Dutch gin) distillery; a flower stall filled with tulips in a rainbow of hues; an old monastery-turned-classical-music-venue; an ultra-niche restaurant such as an avocado or strawberry specialist or one reinventing age-old Dutch classics. Fringing the centre, post-industrial buildings in up-and-coming neighbourhoods now house creative enterprises, from art galleries to craft breweries and cutting-edge tech start-ups, as well as some of Europe's hottest clubs. One of the first things you’ll notice upon arriving in the city is how stylish Amsterdammers are. 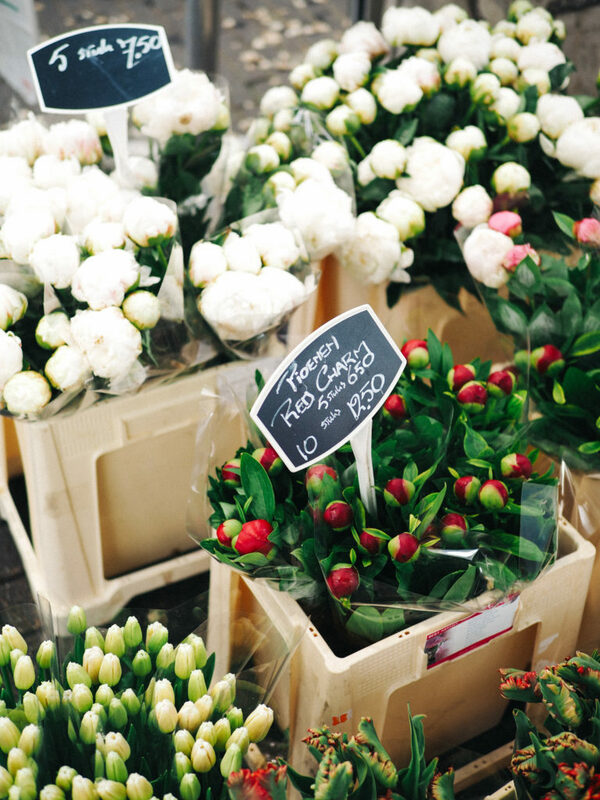 To upgrade your wardrobe to the locals level, visit De Pijp, a former working-class neighbourhood now packed with cool boutiques - you’ll be able to browse showrooms by up and coming independent designers, but you’ll also be able to find other fabulous ‘knick-knacks’ like copper mugs, cashmere beanies and distill-your-own-gin kits in this area. Unlike nearby Paris, London or Berlin, Amsterdam is a village; you can cycle almost anywhere in 15 minutes. If you’re keen to explore beyond the central, tourist zone – and you absolutely should – hire a bike. Around Dam Square, you’ll find several bike rental shops. But the historic centre can be quite congested and even dangerous for people who are not used to biking – especially on the right side of the road. It's better to cycle 15 minutes to Vondelpark, a beautiful and well-known park that been the city’s backyard since 1865. Here you can ride without worrying about traffic (or being yelled at by locals). Did you know that the Dutch are the biggest coffee drinkers in the world? They take their caffeine hits seriously. For a coffee shop experience that will clear your head with beans, not bud, visit Naked.Espresso. Of the city’s many new third-wave coffee specialists, this is the finest. Baristas pull perfect espressos, accompanied by tasting notes for your beans, amid an eminently Instagrammable interior — wood-plank bar, hanging plants and parquet-wood benches. Although we didn’t get to explore too much because the main purpose of our trip was to create content - due to the nature of the city, I was pleasantly surprised to find that we still managed to see a lot. We even paid a cheeky visit to the red light district, which was certainly an eye-opening experience but I’ll save that for another blog post. 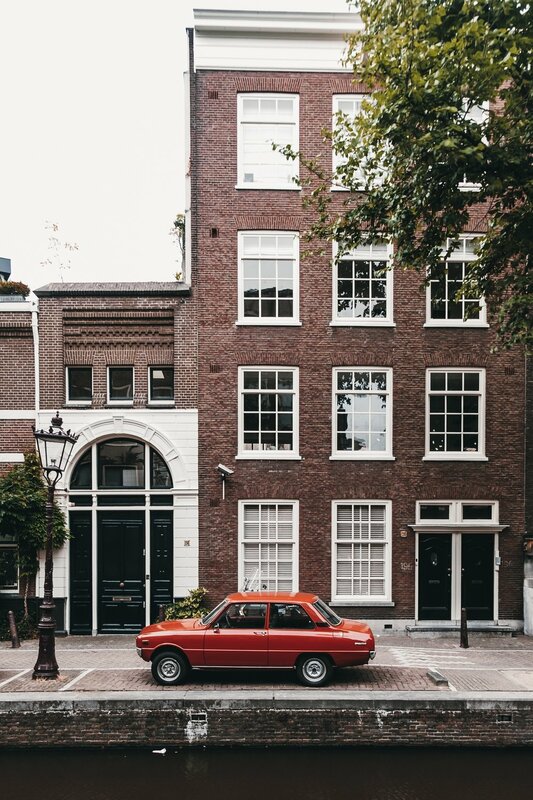 For you fellow bloggers who are looking to create content in Amsterdam, please note that because a large percentage of the architecture across the city is very similar, it’s difficult to create content that is vastly different when walking about. However, if you think outside the box a little and keep your eyes open (always wise), there are lots of little hubs to create some great content. If all else fails, there’s some truly Instagrammable cafes and coffee shops to capture some “candid” coffee culture photography. A few I’d seen when researching our trip were Sticky Fingers, Bocca, MaMa Kelly & The Commons. They speak Dutch but most speak English very well. There are many mouthwatering local delicacies on offer in Amsterdam ranging from tasty, sugar-filled desserts like tompouce or bossche bol to savoury, fast-food favourites such as patatje oorlog or frikandel speciaal. If you try one Dutch sweet treat, make it a stroopwafel. Two thin waffles stuck together with a layer of sweet syrup; these delectable delicacies are best enjoyed hot and gooey from a street market or bakery. By day, sample a glass of malty jenever in one of the city's famous brown cafes or centuries-old tasting rooms. At night, head to one of the city’s sleek speakeasies or chic lounges to try one of the new brands of jenever showcased in a creative cocktail mixed by an enthusiastic bartender eager to try fresh ingredients and techniques. And as the spirit is known as the Dutch predecessor to modern-day gin, it’s no surprise that gin and tonic mania has overtaken Amsterdam with several bars offering menus with several different takes on the classic drink. However, I must note, there's also no shame in ordering a Heineken and sipping it at a canal-side table. You are in Amsterdam, after all. Tourist season is in Summer and that means it’s the most crowded from about June to August. However, from about March through to early June is tulip season and many flock to the fields then as well - that’s certainly on my bucket list. Amsterdam is a gem of a city. It has the café culture of Paris, the canals of Venice and the gourmet restaurants of London, so there’s no surprise that it’s one of Europe’s most-loved city breaks. I genuinely can’t wait for my next visit.